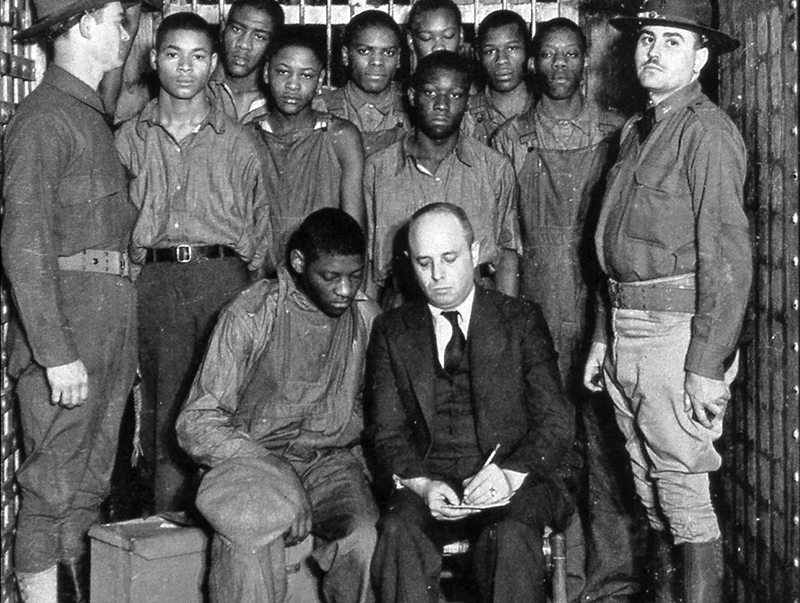 The defendants in the Scottboro trial and their lawyer, Samuel Leibowitz, at a Decatur jail. Standing, left to right: Olen Montgomery, Clarence Norris, Willie Roberson (front), Andrew Wright (partially obscured), Ozie Powell, Eugene Williams, Charley Weems, and Roy Wright. Haywood Patterson is seated next to Leibowitz.